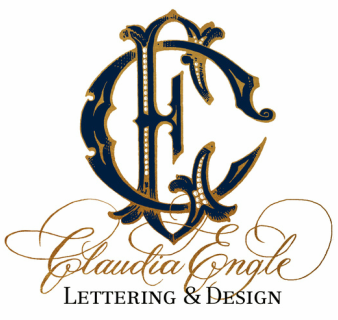 Couple’s, embarking on a new life together, are commissioning custom monograms for use at their wedding and beyond. The joint monogram, a combination of the couple’s first and surname initials, is a fitting motif for weddings. 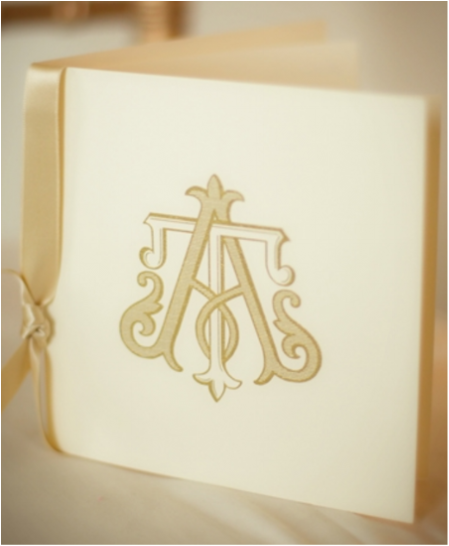 Monograms personalize and unify many elements of a wedding, such as the stationery suite, wedding cake, paper goods and favors. 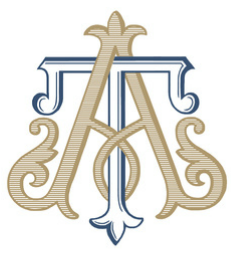 When designing a monogram for an engaged couple, special consideration should be given to the selected initials. A couple may choose to use a duogram and/or a joint monogram for their wedding. The duogram, a combination of the couple's first name initials, can be used on preliminary items such as the save the date, wedding invitation and program. Some couples elect to use their duogram throughout the wedding. Since the joint monogram includes the couple's surname initial, it is appropriate for use as soon as the wedding reception. Most often, couple's choose to use their duogram on preliminary wedding items and joint monogram at the reception. 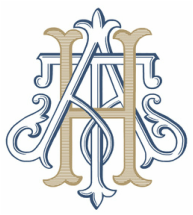 Although they are two distinctly different monograms, it is essential that they share a commonality in order to insure a consistent, cohesive look throughout the wedding. This is best achieved by, first, designing the joint monogram and, then, "lifting" the duogram from it.